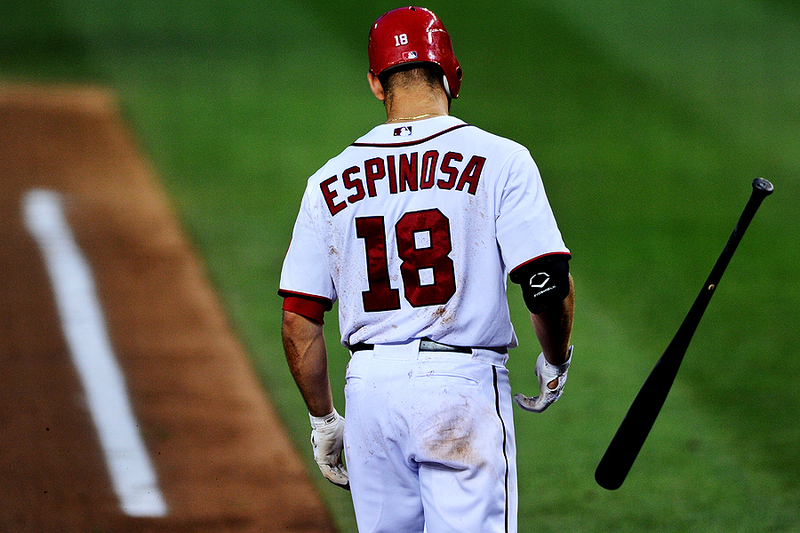 "Danny Espinosa #18 of the Washington Nationals reacts after striking out in the fifth inning against the Colorado Rockies at Nationals Park on July 8, 2011 in Washington, DC. The Colorado Rockies won, 3-2." Back at the ball park for more Nationals action. There was one problem though - there wasn't much action. One of the more boring baseball games I've shot in quite sometime. Literally a bunch of pop flies and strikeouts for the better half of the game. It wasn't until the fourth inning when things started picking up a bit. But even then, action was lackluster. Alas, that's the way of sports sometimes.